Sorry, there are no rooms available in the price range selected. Standard room with one queen size bed, flat screen TV. Wake up service available upon request. Complimentary High Speed: Check email + browse the Web. Enhanced High Speed: Video chat,download large files + stream video for $5.95 USD/day. Complimentary Coffee and tea in the Lobby, and Free Self Parking. Driving Directions:From the 101 North- Exit John St, and turn left at exit. Turn left on Work St. Property is on the left. From the 101 South: Exit John St, and turn right at exit. Turn left on Work St. Property is on the left. 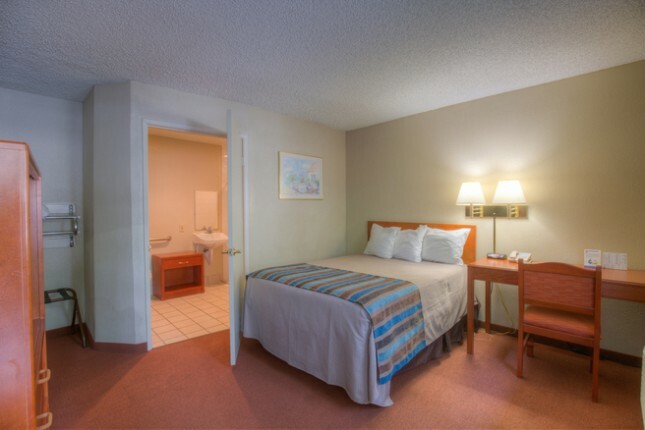 Standard room with two double size beds, flat screen TV. Wake up service available upon request. Complimentary High Speed: Check email + browse the Web. Enhanced High Speed: Video chat,download large files + stream video for $5.95 USD/day. Complimentary Coffee and tea in the Lobby, and Free Self Parking. 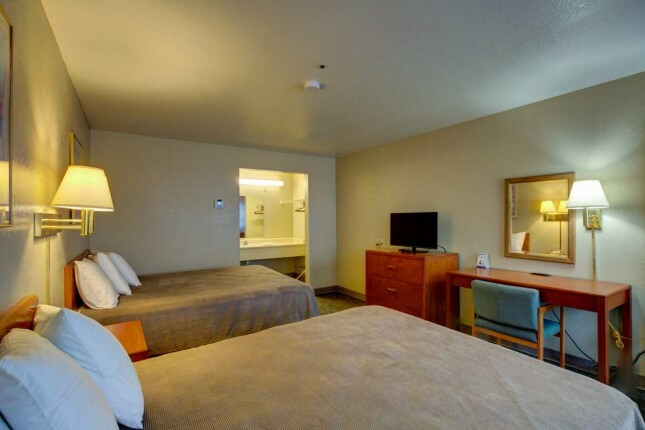 Standard room with two queen size beds, flat screen TV. Wake up service available upon request. Complimentary High Speed: Check email + browse the Web. Enhanced High Speed: Video chat,download large files + stream video for $5.95 USD/day. Complimentary Coffee and tea in the Lobby, and Free Self Parking. 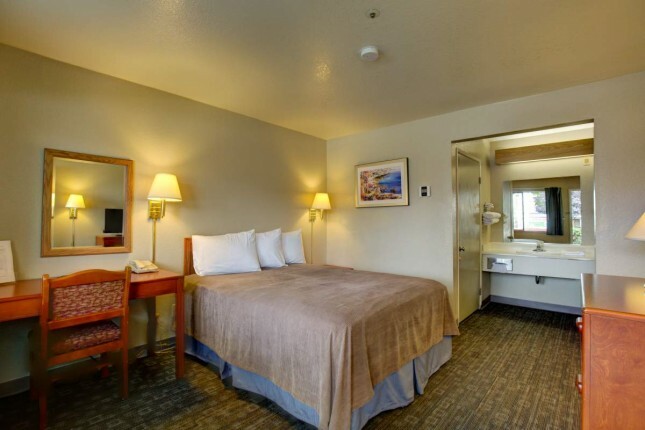 Accessible non-smoking guestroom with One Queen bed located on ground floor. 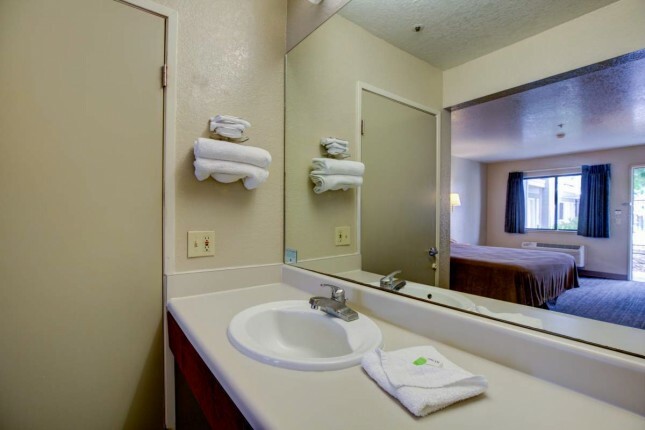 Included accessibility features: wheelchair accessible path of travel, lowered countertops and shelving, accessible bathroom with grab bars and roll-in shower with hand held wand Additional features: Free WiFi, flat-screen TV, iron, ironing board and hairdryer are provided. Complimentary Coffee and tea in the Lobby, and Free Accessible Parking. On your recent visit to our website, we noticed you didn't complete your booking.